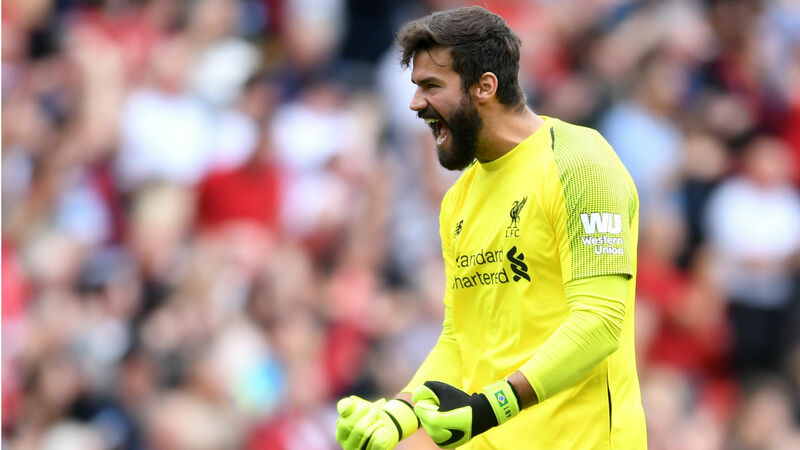 Liverpool's Alisson Becker could be the best goalkeeper in world football, according to Roma boss Eusebio Di Francesco. Alisson enjoyed a breakthrough season at Stadio Olimpico last term, starring as Roma made it to the Champions League semi-finals - where they were beaten by Liverpool - and a third-placed finish in Serie A. His superb form earned him a starting berth for Brazil at World Cup 2018, and that was followed by a move to Liverpool, with the Premier League side paying a then world-record fee for a goalkeeper to bring the 25-year-old to Anfield. Roma signed Robin Olsen as a replacement, but, while confirming that the Sweden goalkeeper will start in the Giallorossi's season opener against Torino, Di Francesco acknowledged it will be difficult to fill the void left by Alisson's departure. "Choices were made, linked in with many situations," Di Francesco told a press conference. "It's not easy to replace Alisson, who is perhaps the best goalkeeper in the world. Robin proved his quality at the World Cup, he is ready and he will start tomorrow [Sunday]. "Many clubs below us in the table have reinforced, but generally all of Serie A has strengthened. We'll see as time goes on if Roma have improved. "Some important players left, others arrived, and I am overall satisfied. There is still time to sell some players abroad, as there are many of us."